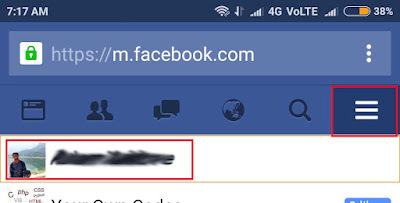 This tip shows how to make private your Facebook friends list from showing to all others. Facebook is the most popular social media in the world. If you have not selected correct privacy settings, then that may make issues. ‘Who can post on your time line’ is one the privacy issue on the Facebook. Like this, anyone can see others Friends list. Seeing others friends is not a problem but depends the user. 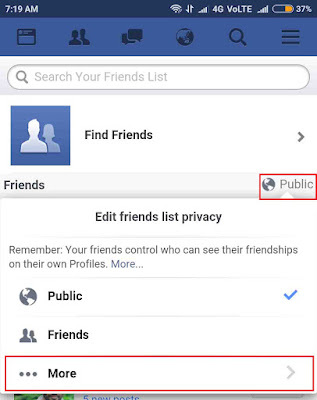 If you want to hide your Facebook friends list from others, then this article will help you. You can do this method from both Computer and Mobile devices. Now you can see all your friends. Here you can see a button named ‘manage’ on right top of the friends list. ‘Manage’ button will show you an option of ‘Edit Privacy’. Now you will get a new window for managing your friends list privacy. Look at the first option ‘Who can see your friends list’. Now the option is selected as ‘public’. 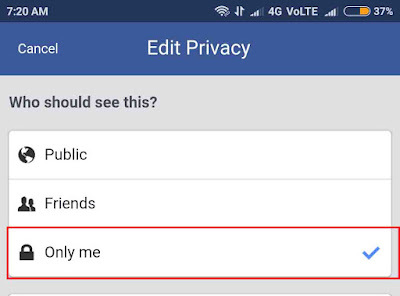 If you want to hide your friends from all, then select ‘Only Me’. If you want to show your friends list with your friends, then select friends. If you want to show your friends list with only some friends, then go to ‘custom’, there you can choose the friends that you want to share your friends list. Also you can share your friends list with people who studied with your college or school by going to ‘more option’, there you can see a list of schools and colleges that you have studied. In this manage friends window, you can also manage showing your followers and people those you following them. After managing all privacy options, press ‘Done’ button. Most of Facebook users are still use their accounts on their mobile devices like Mobile Phone, tablet, Notebook, etc. So Facebook officially published Mobile Application for Android, iPhone, Windows etc. 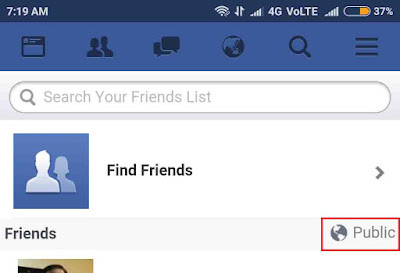 Let us see how to hide friends list on mobile devices. 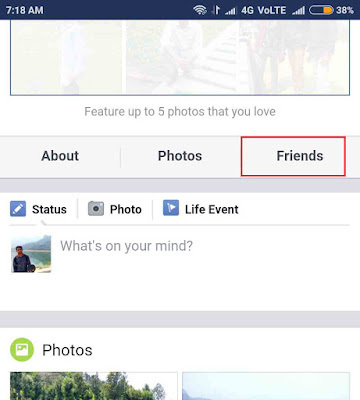 Unfortunately there is no way to hide your friends lists from Facebook Official App. Don’t worry, there is another way. You just use any mobile browser like Chrome, Opera, Internet browser, etc and go to www.facebook.com. Now you have to Login with your username and password. The Facebook view on mobile browser is almost similar to Facebook mobile application. Now tap on ‘Option icon’. There you can see the privacy view of your friends list. That may be ‘Public’ right now, just tap on it. Now you will get a small list. Select ‘More’ option. Now select your privacy. If you want to hide friends list from all, then select ‘Only me’. This methods work well with all devices like Samsung, MI, iPhone, Microsoft etc.